Former Senator and front-runner to replace James Comey as the head of the FBI reportedly removed from consideration. 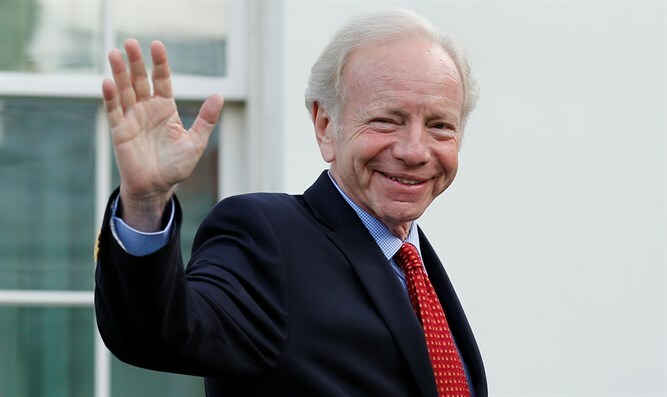 US President Donald Trump reportedly has dropped Joe Lieberman, a one-time Democrat who was the first Jewish candidate on a major party presidential ticket, from his list of contenders to helm the FBI. Trump had indicated last week that Lieberman, a former U.S. senator from Connecticut and an Independent who has forged strong ties with Republicans and Democrats, was his likeliest pick. Lieberman was seen by Trump’s team as a sop to members of both parties angry with Trump for how he fired James Comey, the previous FBI director. But Democrats in the Senate, chief among them Sen. Brian Schatz, D-Hawaii, raised concerns because Lieberman is employed by the legal firm Kasowitz, Benson Torres and Friedman, which represents Trump. CNN reported Wednesday that Trump had retained the firm’s top lawyer, Marc Kasowitz, and that was likely a factor in Lieberman’s removal from contention for the FBI post. Lieberman earned a reputation for integrity in the late 1990s when he became the first Senate Democrat to take President Bill Clinton to task for his transgressions related to his affair with a White House intern. Vice President Al Gore, the Democratic presidential nominee in 2000, made history when he named Lieberman, an Orthodox Jew, as his running mate. Lieberman alienated grassroots Democrats in the next decade when he backed President George W. Bush’s Iraq War, and in 2006 was defeated in the Democratic primary in his home state. He ran and won as an Independent, and backed his close friend, Republican Sen. John McCain of Arizona, over Barack Obama in the 2008 election. He retired from politics in 2012. Since then, Lieberman has gravitated back toward the Democratic fold, campaigning among Florida’s Jews last year for Clinton. He still maintains ties with Republicans, however, this year testifying on behalf of two Trump nominees in confirmation hearings: Betsy DeVos, the education secretary, and David Friedman, the U.S. ambassador to Israel, who is the “Friedman” in the legal firm representing Trump.